Browse our upcoming events and firm news to stay in-the-know. See what Jason and other industry professionals think about investing into the cannabis industry too soon. To read the full article from the Rochester Business Journal, click here. Robert J. Marks is an Associate in the firm’s Litigation Practice Group and focuses his practice on labor and employment issues, municipalities, commercial and landlord-tenant litigation. Robert is the youngest member to join the Volunteer Legal Services Project (VLSP) Emerging Leaders Board and we’re so proud! His first order of business will be helping with the launch of the new VLSP web portal. 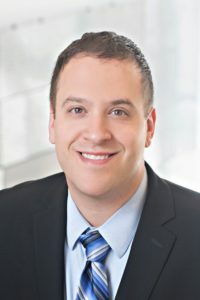 To learn more about the impact of taxation on small businesses looking to get into the cannabis industry, click to read the article from the Rochester Business Journal where Boylan Code attorney, Jason Klimek and Syracuse’s Barclay Damon attorney, Sara Payne discuss the potential negative impacts of taxation rates on legalized marijuana sales in New York State. Boylan Code Partner and Joseph Avenue Arts & Cultural Alliance Treasurer Alan Feldstein was among those quoted by the Democrat & Chronicle on the efforts to transform the historic synagogue at 692 Joseph Avenue into a performing arts center. 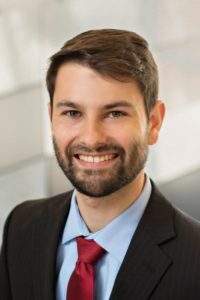 Boylan Code is pleased to announce that Austin P. Judkins has joined the firm as an associate, concentrating his practice in entity selection and formation, and business transactions. Austin received his Bachelor of Arts from SUNY Geneseo and his Master of Science from University of Tennessee. Austin then went on to Syracuse University where he graduated with a Juris Doctor from the Syracuse University College of Law. Prior to joining Boylan Code, Austin worked for an international remote sensing (satellite imagery) and GIS (Geographic Information System) company based in Buenos Aires, Argentina. His work focused on establishing and maintaining international reseller agreements and direct sales to clients within the oil and gas industry and utilities. Additionally, he worked in international higher education administration. He is highly proficient in Spanish. Michelle Ciliberto is a Paralegal in Boylan Code’s Commercial Lending Department but has held roles within several other departments throughout the years! How long have you worked at Boylan Code? I started at what was then Boylan Brown in 1997 as a Litigation Paralegal, and then moved into Systems Administration in 1998. I moved to Massachusetts in 2001 but came back to Rochester and Boylan Brown in 2003, working in the Residential Lending Department. I moved back to Massachusetts (yes, again!) in 2006 before coming back to Rochester and Boylan Code in 2016 to take on my current role as a Paralegal in the Commercial Lending Department! I do any of the following on any given day: communicate with clients, coordinate commercial closings, draft loan documents for commercial closings, attend commercial closings and review and organize due diligence materials. Basically, try to keep everyone organized and on track to close in a timely manner. Boylan Code LLP is pleased to announce that 11 attorneys have been chosen for the 2019 edition of The Best Lawyers in America.